The LVN Program is a three-semester program preparing the individual to work under the supervision of a Registered Nurse. Licensed Vocational Nurses work in acute and convalescent hospitals, physicians' offices, clinics, and other health care facilities. Admission to the LVN Program is determined by a lottery selection process. The LVN Program provides students with learning opportunities to develop interpersonal and technical skills. The LVN functions as a member of the health care team providing basic nursing care, administering medications, reporting and documenting patients' signs and symptoms, and carrying out therapeutic and rehabilitative measures. The LVN Program is offered at both the Eureka and Del Norte campuses every other year (odd years). Upon completion, the student is eligible to take the National Council Licensing Exam for Practical Nursing (NCLEX-PN) to become licensed as a Vocational Nurse. An additional one semester of college work provides the student with the opportunity to earn the Associate in Arts Degree. Please note: The LVN program is a three-semester program. All students admitted will complete the program in three semesters of consecutive coursework. (Fall/Spring/Fall). Time from program admission to program completion is 18 months. For example, an LVN class was admitted Fall 2017. Required coursework will be completed in December 2018. The first semester of the LVN program includes BIO. It is STRONGLY recommended that you take BIO 8 prior to enrollment in the first LVN course (LVN 121). Certification as a Certified Nursing Assistant (CNA) is required for program application. 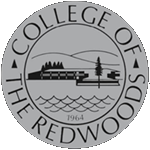 Certification can be obtained by taking HO 110 Basic Patient Care at College of the Redwoods. Certified Nurse Assistant Courses are also offered by skilled nursing facilities and others in the community. "In Progress" status is acceptable for CNA Certification but must be completed by May of the application period. Note: HO 110 is not currently offered on the Eureka or Del Norte campus. Also note: Home Health Aide Certification is acceptable for the CNA certification requirement. The LVN program is offered every other year. The next offering of the LVN program is Fall of 2019. The application period will open in Spring of 2019. CLINICAL REQUIREMENT UPDATE: A 10-panel urine drug screen is required 30 days before the beginning of your first clinical rotations and every Fall following a summer break. Positive results mean you cannot attend clinical per clinical agency contract. Inability to attend clinical will result in being dismissed from the course.